It’s the piece of anti-snoring and general health advice that we often don’t need to be told: “lose some weight”. This in itself is not advice, if it were that easy, weight wouldn’t be a problem for anyone. Whilst we are all aware of the great health benefits to losing weight, it’s a difficult thing to do. Substitute. Make your favorite meals healthier with smart ingredient substitutions. A key substitution is brown for white when it comes to bread, pasta and rice. Move. The key to weight loss is expending more energy than you put in. Little activity efforts accumulate; take the stairs, set a step goal and integrate exercise into your every day. Avoid. If you are serious about weight loss, some foods just need to go. If you eliminate one thing only, make that one thing sodas/fizzy drinks. Reduce and Reward. 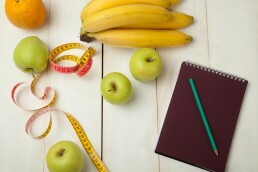 The most obvious task: reduce your food intake. Also set goals, and when you reach a milestone don’t be afraid to reward yourself. Think. Mindful eating is a great way to know when you’re full and to appreciate food. Many scientists and doctors categorize snoring as a habit. As we know, one of the main things that causes snoring is excess weight, and increased weight is also the result of poor habits. Habits are hard to break out of. The best thing to do is to introduce new habits. Keep eating the types of food you love with smart ingredient substitutions. Chocoholics the world over rejoiced at the news that chocolate is actually quite good for you. This statement comes with some caveats: chocolate’s benefits depend on the amount you eat, the cocoa content and the type of chocolate. Dark chocolate has more of the original cocoa than milk chocolate which is diluted with more sugar and milk powder. The cocoa is rich in anti-oxidants, chemicals that promote healthy blood vessels . We don’t recommend eating too much of foods containing wheat flour, but when you do, make sure it’s brown. White flour is more processed that brown, involving the removal of much of the original wheat grain. This means a reduced nutritional content. Brown bread and pasta are higher in fiber and are lower GI, meaning there is a slower increase of blood glucose after eating, keeping hunger at bay effectively . Additionally, brown flour is higher in fiber which aids digestion and takes a little longer to chew. Chewing for a bit more is a great way to subconsciously lower your intake and to better recognize when you are feeling full. Cauliflower is more nutritionally diverse than rice, has fewer calories per portion and is high in fiber. Make the blender your friend and blitz the cauliflower. As well as a healthier rice alternative, cauliflower works well in healthier tortillas, pizza bases, mash and hummus. Cauliflower rice is unbelievably easy to make; simply blitz it to a rice consistency in a food processor, pour it into a heat proof bowl and cover with film. Pierce the film and microwave for seven minutes. Potatoes have a lot of starchy carbohydrates. Many diets would have you believe that carbs are bad. This isn’t true. Carbohydrates are a necessary energy source that keeps us alive . That said, it’s often a good idea to reduce your intake to lose weight. Mashed swede or celeriac is a good alternative to mashed potato. Roasting parsnips and sweet potatoes are lower-carb, tasty potato alternatives. Vegetable crisps are also growing in popularity as a potato chip substitute. Other vegetables that can easily slot into potato-esque roles are kohlrabi, turnip and mooli. These are just a few examples we’re particularly fond of. There’s a multitude of great substitutions promoted by many diets. The key to weight loss is expending more energy than you put in. Exercising to lose weight can start with small efforts. As long as it’s more than what you currently do, you are going to expend more energy than before and make yourself more likely to lose weight. Take the stairs instead of the elevator, walk up escalators, walk just that little bit faster between appointments. These small efforts over time can add up to make a big difference. Setting a daily step goal is a great way to give you a quota of physical activity to aim for every day. There are of host of smart watches and pedometers available, many at a very reasonable price point for the features they have. The concept of 10,000 steps originated in 1960s Japan, introduced by a pedometer manufacturer looking to profit from the success of the 1964 Tokyo Olympics. It has since been adopted as the benchmark for healthy daily exercise . Just as important as the number of steps is their intensity; 5,000 brisk steps are more effective than 10,000 slow ones. Lots of people argue that they just don’t have the time available in the day to exercise. The key to exercising in a busy life is to integrate it into your normal routine. Commuting by bike can sometimes be quicker than car or public transport, particularly in slow-moving, congested cities. If you use public transport, getting off a few stops early is a great way to slot a brisk walk into your working day. This is also good for your mental health; a great way to clear your mind and relax before you start work. Many of us work at desks. See if a standing desk is something that can be incorporated into your workplace. Also use your lunch break to your advantage, either with a fast walk or even some dedicated gym time. Many workplaces offer subsidized gym memberships. Finding a coworker with similar exercise ambitions is a great way to keep each other motivated. The assumption with exercise is that you need to put in the hours flogging yourself on a treadmill or exercise bike, entering a purgatory of pain and boredom. This doesn’t have to be the case. If you enjoy those things, hooray, you’re well on your way to successful weight loss. If not, find something that you do enjoy. With a world of information at your fingertips online, it’s never been easier to discover a wealth of organized activities in your local area. There are some foods that simply cannot be integrated into healthy weight loss and need to be avoided altogether. Sodas/fizzy drinks. Low calorie sodas don’t necessarily mean low sugar, and the low sugar ones aren’t much better often being laced with additives that provide no nutritional benefit whatsoever. Sugary breakfast cereals. These frequently attempt to promote themselves as healthy. Whilst their claims of multigrain ingredients and high fiber might be true, these benefits simply don’t outweigh the costs of the eye-wateringly high sugar content. Processed meats. More saturated fats, cholesterol and salt compared to unprocessed meat make this a big reg flag. The importance of eating less cannot be stressed enough. Added sugar. 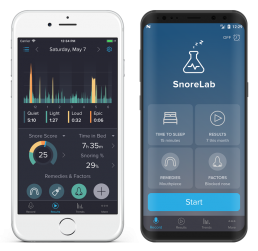 Some SnoreLab users have seen instant reductions in their snoring when reducing their sugar intake. Read Richard’s story here. The main offenders – bread, pasta, rice, foods with added sugar and non-lean meats. Making big cut backs is hard. To make things easier, it’s important to have something to aim for, which is where the second “R” comes in: reward. Part of achieving a big goal is recognizing and rewarding the milestones along the way. Many people who have successfully lost a lot of weight stress the importance of “nudge therapy”. This is a technique whereby you positively reinforce good behaviors. By giving yourself a reward when you reach a key milestone, you help yourself to stay on that positive trajectory. Importantly, these rewards shouldn’t include food rewards where you can easily lapse into bad habits. Some examples include a new item of clothing you’ve had your eye on, an evening out, or maybe even some new equipment for your new-found sporting activity. The practice of “mindful eating” is one of the most important steps you can make towards losing weight. Sometimes, weight loss isn’t so much about changing what you eat, as it is about how you eat. Eating too fast is a great way to overeat . This is because once we start eating, there’s a delay between being full and feeling full. The hormones that tell us we are satisfied take time to arrive in the brain . Eat with fewer distractions. This allows for mindful eating where you can appreciate and think about your food. Put down cutlery between mouthfuls. Aim for a certain number of chews per bite and move the food from side to side (this is also a great mouth exercise, another effective and natural way to combat snoring). Dedicate an amount of time to meals. If after a meal, you still feel those pangs of hunger, give it a little time and they are likely to go away. Have you ever been sitting down, distracted and then found yourself eating without even intending to, simply because the food was there? Writing down everything you eat makes you think twice. It is also a great way to keep track of portions, diet and trends in your eating habits. Poor eating habits come from poor planning. Often, the easiest foods to eat are the ones that are least healthy. Alongside your food diary where you write down the foods of your past, try to plan for the foods of the future. Not only does effective planning mean you are likely to eat healthier, it can also cut down on food waste and save you a lot of time and money. In the past, we have heard testimony and seen evidence that suggests people snore less and can lose weight when eating smaller meals in the evening. “Front-loading” your diet – eating more in the morning and less in the evening – can be an effective weight loss technique. This is probably not to do with enhanced fat burning or slowed metabolism as some sources speculate. This technique is simply a better way to control your hunger to ensure you stay well within your calorie limits. There’s no shortage of special diets that map out what foods you can and can’t eat. If adhered to, most of them will make you lose weight, many of them quite quickly. Some caution needs to be exercised with special diets, as eliminating an entire food group is not conducive to a healthy lifestyle. The principle of weight loss is to take in less energy than you are expending. This concept is why calorie-counting diets are the only type of diet that have extensive scientific backing. A calorie is a measurement of energy. By eating we take in energy and through our activity we expend it. If there is an unbalance between what goes in and what goes out, weight changes ensue. Counting calories isn’t glamorous but can be very effective. Safe calorie reduction is important. Whilst very low-calorie diets (below 800 per day) will make you lose weight fast, they aren’t sustainable and should only be done under medical supervision. Exact numbers vary, but calorie reduction down to 1400 per day for women and 1900 for men should give you steady and healthy weight loss. Importantly, your calorific intake should still be made up of healthy foods. Yes, 500 calories of fries still fulfill the criteria just as 500 calories of vegetables would, but you are likely to feel better and lose more weight by eating sensibly. This diet is based on only eating foods that were available during the pre-agricultural times of our hunter-gatherer ancestors. This means no wheat or cereals, very little dairy, but most crucially, no processed foods. Instead, the diet focusses on seeds, nuts, seasonal fruit and vegetables and meat. As a concept, the paleo diet has a few flaws where even the strictest proponents can’t actually recreate these ancient diets by our modern standards. It also eliminates some extremely nutritious foods such as pulses and calcium-rich dairy. But paleo-dieters stress that the diet is less gospel and more guidelines. The idea of no processed food alongside more vegetables, nuts and seeds is something to be encouraged. The aim of SnoreLab’s SMART approach is to spread manageable changes across all aspects of your life. This is so that your weight loss tactics become new habits that not only help you lose weight, but help you to maintain that lower weight. The best way to stop snoring, lose weight or achieve any other health-related goal is to approach it from many angles, using combinations of positive lifestyle changes. This article is a diversion from our normal snoring themes. Most, if not all anti-snoring websites will recommend weight loss but then leave you hanging, abandoning you to trawl the internet and navigate through the vast quantity of misinformation and unhelpful strategies. Our SMART approach is based on forming new habits, making lots of changes that go beyond just your diet, but keeping them manageable and sustainable to not only lose weight, but to keep it lost.